NYU has been shaken by a student's email stating it would be "easier" for him without a "black presence" in class! Shahem Mclaurin, a black student at NYU's Silver School of Social Work told about his experience on social media. The Typical Student team learned the details of the incident. 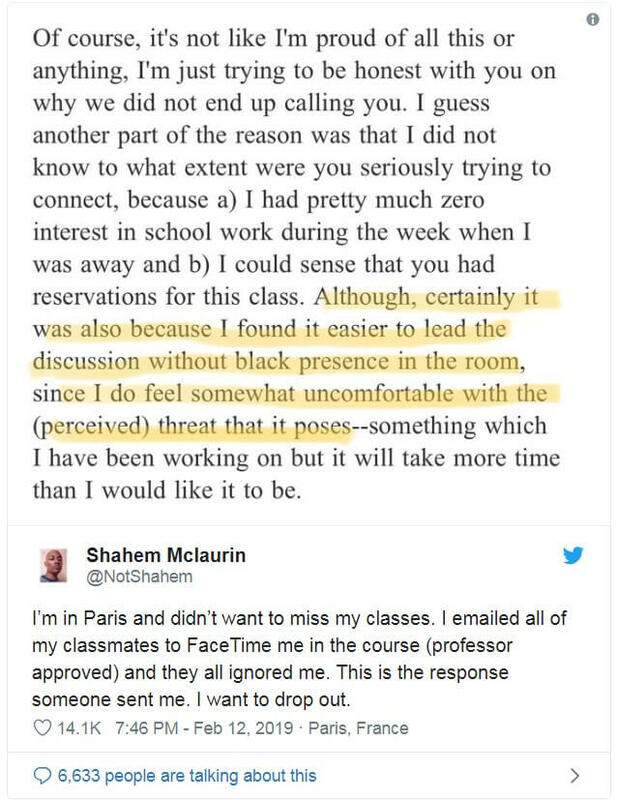 In the email, Shahem read as follows: the student "found it easier to lead the discussion without black presence in the room, since I do feel somewhat uncomfortable with the (perceived) threat that it poses." Shahem didn’t feel at ease reading something like that, so he took to social media to share his concerns. He said, the email made him feel like dropping out. How Did NYU Administration Respond To Incident? "Both students involved in the email exchange indicated their desire to resolve the issues in the class, and the associate dean of academic affairs is working with the chair of practice and the instructor of the course to promote productive and restorative dialogue." "We recognize that this incident took place in a broader context of ongoing institutional racism at Silver, especially in classrooms. Notwithstanding efforts to actively address these issues, we clearly have significant work yet ahead. Addressing matters of racism, bias, and social exclusion require firm commitment and collective efforts of us all, and this work must be ongoing. As social workers we must continually examine our own biases as well as the social systems that perpetuate racism and other forms of discrimination and marginalization. In the wake of this painful incident, it is our hope that we will find an opportunity for self-reflection, learning, and professional and institutional growth."